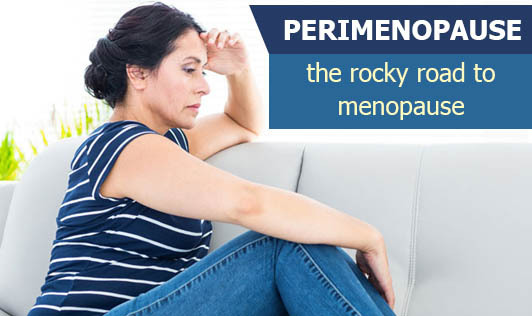 Perimenopause, also known as menopausal transition refers to the time period during which a woman's body makes its natural transition towards permanent infertility. Women may experience perimenopause at different ages. For instance, some may notice signs of progression towards menopause sometime in their 40s, while some may even notice changes as early as their mid 30s. As a woman goes through menopausal transition, her body's production of estrogen and progesterone rises and falls. Most of the changes a woman experiences during perimenopause are a result of decreasing estrogen levels. If you experience symptoms that seem to interfere with your daily life such as mood swings or hot flushes, contact your doctor at the earliest!